There is not much to write about the election of 1820. This election was the only uncontested presidential election in American history except for the first two elections when Washington was the only candidate. The Federalist Party had almost completely faded away by then and with it, the first party system of American politics. There was still a handful of Federalists serving in Congress, but the Federalist had lost all of their influence outside of New England and was not able to nominate a candidate to oppose the reelection of James Monroe. The Democratic-Republicans nominated their team of Monroe and Daniel D. Tomkins for a second term. There was no real campaign and little interest in the election. Turnout for the election was light, even in the fifteen of the twenty-four states that chose their electors by popular vote. There was some controversy over the status of Missouri. The new state had adopted a constitution in July of 1820, but Congress delayed Missouri’s admission into the Union until August of 1821 because of a provision the constitution that prohibited free Blacks from residing in the state. It made no difference to the outcome, so the matter was not pursued. 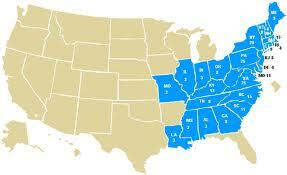 As for the outcome, James Monroe won 228 of the 232 electoral votes. Three electors, one each from Mississippi, Pennsylvania, and Tennessee had died before casting their votes and so were not counted. There was only one dissenting vote cast by William Plumer, a former Senator and governor from New Hampshire. It is sometimes said that he voted for John Quincy Adams so that Monroe would not equal Washington’s achievement in gaining a unanimous vote in the Electoral College, but he had no way of knowing what the votes of his colleagues would be. He simply believed that John Quincy Adams would make a better president than James Monroe. He also disliked Daniel Tomkins and voted for Richard Rush for vice-president. After this election, it seemed as if the United States would become a one party state. James Monroe was happy with that result. The founding fathers had not approved of political parties believing them to be divisive and troublesome. Most political observers looked forward to a future of calm elections with no partisan rivalry. Just four years later they would find out how wrong they were. This entry was posted on August 18, 2014 at 5:14 pm and is filed under History, Politics, Presidential Elections. You can follow any responses to this entry through the RSS 2.0 feed. You can leave a response, or trackback from your own site.